We have a long-standing tradition in this country of tax aversion. Nothing riles us up more than the topic of taxes. Of course, not pay is not an option. I don't recommend tax evasion as it generally doesn't work out well. However, tax avoidance is a perfectly legal, respected, annual right of passage for all of us. Tax planning is the best way to use the tax code in your favor and lower your tax bill each year. 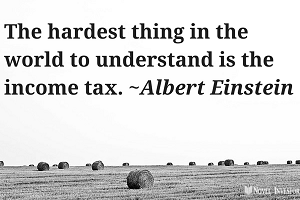 Smart tax planning requires some forethought. You can't roll into April each year, slap your tax forms together, and expect the lowest tax bill and biggest refund ever. By then it's already too late. Taxes will be the biggest expense in your life. You'll need to plan in advance for real tax savings. A healthy financial plan combined with smart tax planning throughout the year is the best way to keep more of your money working for you. Understanding how the changing tax code affects your financial decisions before you make them is the best way to plan for and save on those costs. But make sure you don't pile up the tax savings this year, at the expense of next year. A proper tax strategy will lower your taxes throughout your life. To that end, I put together this collection of resources you might want to know about before starting that process, including some things you might overlook, and other helpful tips that could save you money. Or you can browse through the category at your leisure. There are only a few ways to get out of paying taxes. Tax evasion is the wrong way to do it. Tax avoidance is the other, legal way around it. My point is, taxes are a cost you can manage and tax harvesting is a piece of a tax efficient investment plan. Most of us have fairly consistent income. It’s usually investment income that changes from year to year. The tax code is set up in a way that investment income is taxed at different rates. When you invest through a taxable account you have to plan for income tax on interest earned, along with capital gains tax, and dividend tax. Much of the discussion around investing involves managing costs. Taxes need to be part of that talk. 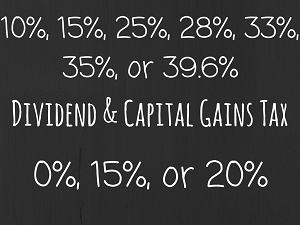 Like fees and expenses, dividend and capital gains tax eats away at your returns. Any time your investments make money, taxes aren’t far behind. To make it easy on us, Congress whipped up a simple complex tax code for income, dividend, and capital gains tax rates. Lucky for us, that tax code can change on a whim, making it worth staying updated on. 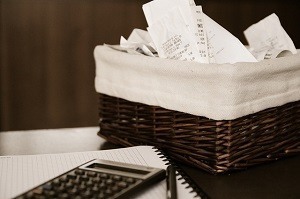 Did you get the most tax savings possible this year? Is there anything you could have done differently that would have saved you more money? I bet there was. 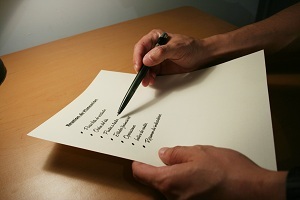 You need to be proactive for big tax savings. By the time April rolls around it’s already too late to work the tax code in your favor. The only planning you have left is a last-minute IRA contribution before the deadline to salvage some savings. Tax season is stressful enough just getting those returns finished and sent in time. Now you have to deal with storing all those tax records. Or do you? The good news is you don’t have to be a hoarder. 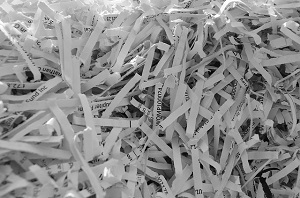 But before you start force feeding that shredder, there are some tax documents you should hold on to for a little while. If you’re like me, you may be holding on to tax records out of fear the IRS will show up for an audit or maybe it’s just a keepsake of incomes past. Are you ready to join the mad rush to the tax deadline or did you finish your return early? There’s about two weeks left to get your return finalized, signed, and sent to the IRS. With that in mind, I’ve put this reminder together with info to help you make the most of your refund and get that tax return in on time.